M for Magical, a DT card for ABC Christmas Challenge. her last challenge as a DT member at ABC Christmas Challenge team. Thanks for all your beautiful creations Bettina, we will miss you. I have made a card with an old - but still very lovely- Magnolia image. It's called 'Flyving Angle Tilda'. The papers are from Maja Design, also some oldies. Flowers and bling are from my stash. Congratulations, a DT card for HM&FMC. I've made a birthday card for my niece with the cute Amanda. The image is called 'Amanda Shines'. but I've covered the mirror with Glossy Accent. The girly papers are from Maja Design. my personal 'handmade by Dorte' stamp. with some of my pink flowers. 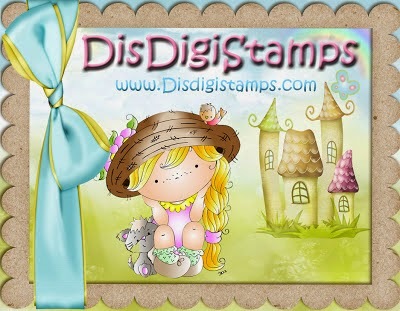 Winner will receive a $12 voucher to shop at Di's DigiStamps. so be sure to PLAY! 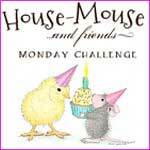 House Mouse & Friends Challenge blog. 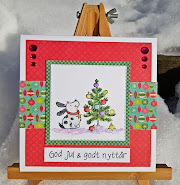 Let it Snow, Let it Snow, DT kort for ABC Christmas Challenge. når ting ikke virker som forventet! så tirsdagen blev brugt på vasketøj og forefaldende arbejde! Stemplet er fra Magnolia og hedder 'Ski Edwin With Snowflakes'. Jeg har brugt en sketch fra Sweet Sunday Sketch som udgangspunkt. Hvis du står og mangler en sketch er her mange gode. og motivet har fået lidt Stickles på her og der. som er vores sponsor denne uge. Flere ski på bagsiden sammen med mit personlige stempel. Vores sponsor for denne udfordring er Freckled Fawn. All About Holidays, A DT card for HM&FMC. It's Monday and time for a new challenge at HM&FMC. What is your interpretation of a HOLIDAY?? Is it an official Holiday? Is it the Winter Holidays like Christmas or New Years? Is it a Vacation or getaway?? Show us, we can't wait to see what you are up to! end of this week there will be a technician and have a look at it. So I would like to apologize for my absence! Therefore just a short post today. My card is made with the image called 'In A Nutshell'. The sunny papers are from Echo Park, Iv'e had them for ages, but still love them. The are so usefull for many types of cards. At the back side a little upside-down fellow together with the 'Handmade by' stamp. 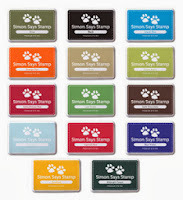 Very proudly Sponsored by the amazing Heidi and Simon Says Stamp!! FABULOUS Prizes! Be sure to enter for your chance to win! Thanks for looking and I hope you will join in with the challenge. Cool Edwin, a DT card for Stamp and Create with Magnolia. 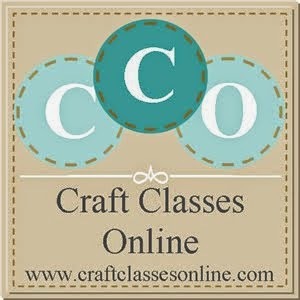 Stamp and Create with Magnolia starting today. Masculine or a card for a Boy/Man! called 'Cool Edwin'. Look at him, I just love his attitude. it's from Heidi Swapp. Beautiful design papers. 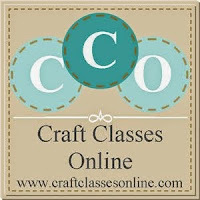 I gave it up and went for a finished one from Craftwork Cards. to decorate the inside with. I used a Magnolia die for it. All edges are distressed and I've made some false stitchings. The sketch I've used id this one from Die Sketchtanten. fun and join in the challenge. For sponsor information please look here at the challenge blog. Today's card is featuring a Gruffie Bear, the image is called 'Balancing Act'. I hope that this guy knows what he's doing! but I found them perfect for the 'In The Kitchen' theme. The apron is paper pieced. for with this little mousy fellow. the alternate option of 'ANYTHING GOES' too!